Crutches are used by persons who have difficulty walking. Underarm crutches are usually preferred by patients who have temporary walking problems such as those who have broken ankles or sprained leg muscles. However, for those who are in for a long term walking support, forearm crutches are recommended. Sometimes called elbow crutches, the forearm crutches is a great help for people’s freedom of movement especially walking. This mobility device is made up of forearm cuffs and handgrips. These parts are designed to transfer some weight from the arms during walking. 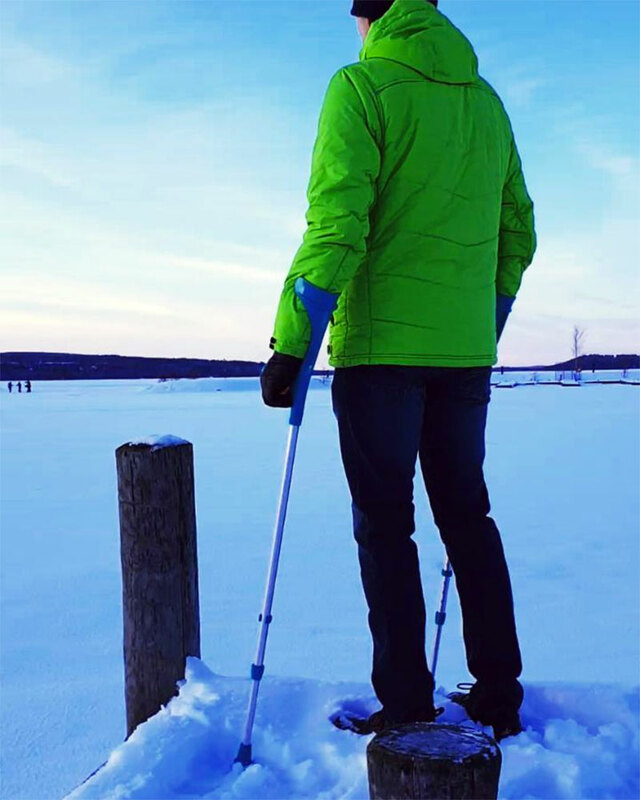 Strong-willed amputees and patients use this device not only for walking but also for indulging in some extreme sports like hiking. For these spirited people, no amount of debilitating disease can get in the way of doing activities normal people engaged with. Advances in the medical field and equipment have paved the way for people with disability to indulge in extreme sports. Some of them are even attempting to jump from airplanes. With the help of forearm crutches and hiking poles, they are able to traverse mountains such as Mt. Rainier or the Appalachians. However; there are things to remember when embarking on a strenuous activity such as hiking. It is helpful to heed some advice before trekking with forearm crutches. Prep up – Hiking has its challenges and much like other sports activities it requires training. Being confident and self-assured is good, but in special situations such as being an amputee, certain conditions should be observed. There are a lot of mental and physical preparations for this kind of action. Going downhill especially is the most difficult part of hiking. Hence, it is advised to practice on uneven surfaces. Try ascending and going downstairs or buildings. Before embarking on that uphill climb, make an effort to practice on relatively easy treks. Plan Safety – Plan the hiking activity with friends or family. It is better to have companions while trekking. Aside from careful planning, bring the essentials such as water and cell phones. In addition, bring the provision for the necessary first aid. However, if hiking alone gives notice to friends and family about the whereabouts. Indeed, technology has advanced in so many ways. There are available equipment and training to prep up for that mountain trudge. However, taking precaution is still a wise move. Risks can be minimized or eliminated entirely by planning carefully. Equip well – Hiking is tough. It requires careful planning as well as sturdy equipment. The forearm crutches an amputee should use must be sturdy enough to withstand pressures. First, it must be comfortable for the wearer. The long trail can exhaust arms muscles thus it is important that forearm crutches should be equipped with a feature that can decrease vibrations in hand. Though it provides comfort, it should not be lacking in safety facets. Furthermore, it should withstand forward momentum. This is the force exerted by a person when going downhill. 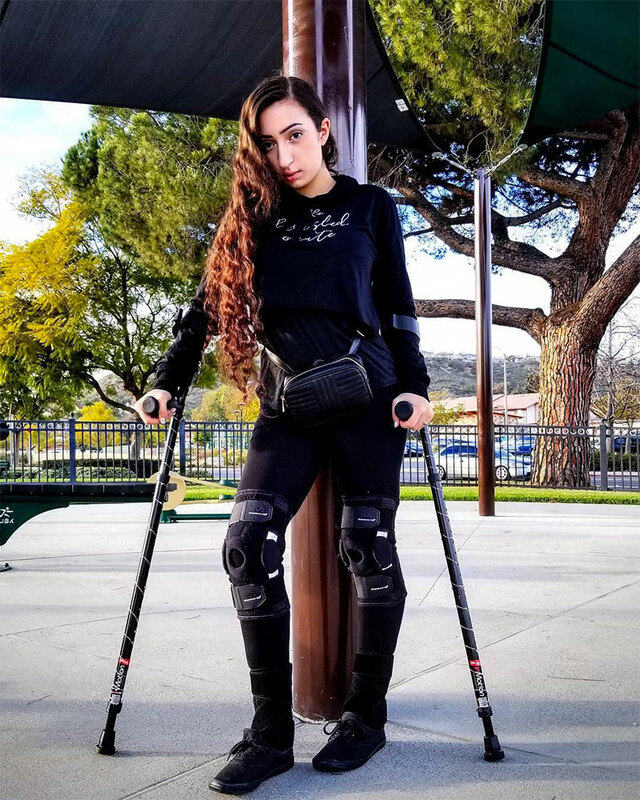 Thus, it is important that whenever hiking a high performance, lightweight, adaptable forearm crutches should be the standard equipment.